WECU increases productivity with user-friendly UC & Contact Center. In 1935, when credit unions were helping Americans through the Great Depression, the treasurer of a Midwestern credit union said that credit unions were, “not for profit, not for charity, but for service,” and that philosophy holds true today. Credit unions continue to look out for the interests of their members and provide a level of service that is not generally available at other financial institutions. Whether it’s providing a loan to help a member cover unexpected medical bills, giving financial counseling to a member whose company closed its doors, or simply offering a better deal on a used car loan, credit unions make a difference for their members and the communities they serve. Faced with an expiring lease on their existing telephony platform, WECU was looking to enhance their productivity through a more user-friendly UC platform, and to implement a more robust call center. with Microsoft Lync as the UC platform, and Enghouse Interactive Communications Center (EICC) for the Lync-native call center. Cerium preceded the Lync deployment with the implementation of Microsoft Exchange. The transition to the new EICC platform was quickly implemented, as it was intuitive to use for existing agents. Cerium provided a “train-the-trainer” approach to end-user training for the Lync deployment. Whatcom Educational Credit Union (WECU®) is a nonprofit financial cooperative where members are encouraged to save and borrow responsibly at fair and competitive rates. It is WECU’s mission to provide the means for members to achieve their dreams. WECU strives to treat both members and staff with honesty and integrity and to be a socially responsible part of their community. WECU also aims to be one of Whatcom County’s employers of choice. 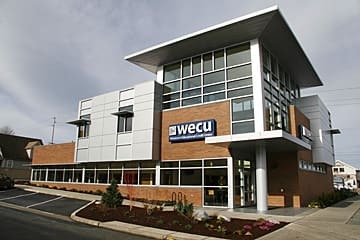 The Credit Union operates through 11 branch offices and two data centers, which are spread across more than 30 miles in Whatcom County, on the western coastal region of Washington State. In addition, WECU operates a Real Estate Center and a Business Services Center for their members. WECU was looking to enhance their productivity through a user-friendly, unified communications (UC) platform, and to implement a more robust call center. Their existing environment was a traditional PBX platform. In addition to seeking the best solution to meet their needs, WECU had to consider the expiring lease on their existing telephony platform. They needed their new voice deployment to be production-ready prior to the lease expiring. WECU went through an exhaustive vendor/platform evaluation process in which they thoroughly vetted multiple potential solutions through vendor demonstrations and proposals. Ultimately, Cerium was selected as the vendor of choice, with Microsoft Lync as the UC platform, and Enghouse Interactive Communications Center (EICC) for the Lync-native call center. The Lync deployment was preceded by an Exchange implementation, which Cerium provided. The new Lync platform was designed for redundancy, with failover from two locations. All of the locations were cutover simultaneously during a midweek event. Cerium staff and WECU administrative personnel worked after hours to connect phones and ensure proper system operation prior to the first production day. WECU IT staff previously had duties divided between the PBX platform and Exchange. Now, those staff members could co-manage the Exchange environment and Lync. Cerium scripted much of the deployment and user database, so there was very little effort needed from WECU throughout the deployment, nor during the months of production use which have followed. Cerium manages patches and upgrades to the Lync environment for WECU so that releases do not interfere with proper operation of the system. WECU credits Cerium’s Systems Engineer, Jason Guel, for much of the implementation and customer-facing work in the deployment of the Lync UC platform. “The Lync implementation at WECU was not without its challenges but they have a great IT staff. Working with their IT staff and their Project Manager, Patti Moser, I was able to address all their needs and concerns. I felt I was truly a member of their team during the implementation,” said Jason Guel. WECU was also facing challenges with call volumes with their traditional PRI trunks. With Cerium’s guidance, WECU moved away from PRIs and implemented SIP trunking, which Cerium implemented with the SIP provider of WECU’s choice. This provided the Credit Union with the ease and flexibility of increasing their call volume capacity. The call center agents are primarily using Touchpoint, the EICC soft consoles, and headsets in their daily practice, giving the call center statistical information as well as advanced call handling capabilities. Cerium deploys Polycom phones with all our Lync systems. Those agents that rotate desks, or are not full-time agents have Polycom phones as opposed to headsets with soft consoles. With a successful rollout and ease of use, WECU is already looking at enhancing the overall member experience by taking advantage of the feature-rich EICC platform, and evaluating offering chat to its members. The EICC platform also offers WECU the ability for their members to hold their place in queue with the call back application, as well as provide statistical information in real time, with the configurable dashboard/wallboard application known as SnapShot. The new EICC platform enhances the overall member and agent experience. Cerium provided a “train-the-trainer” approach to end-user training for the Lync deployment at WECU. “Forty to fifty end-users were trained, and carried that information back to their branch locations to train additional staff,” explains Patti. In retrospect, and as a lessons learned initiative, Patti says that they found most employees preferred the initial and more formal classroom format offered by Cerium. “For our staff, there were more people that really wanted classroom style training, and this is a business decision/preference. I would encourage companies to poll managers and staff about what kind of training they would prefer. We have conducted additional training sessions internally to create better engagement and employee comfort.” The WECU Training Department is developing more in-depth training on using the UC features so that people can attend remotely.